Trust your next event to a real full time professional magician with over 4,200+ Live Shows performed and a 100% 5 STAR Rating. Speed can perform his show anywhere and anytime. Whether Speed is on a Large or Small Stage, a Conference Center or your own Living Room, he will make your upcoming event something truly special and UNFORGETTABLE! Experience the High Energy Magic and Comedy of one of the East Coast’s premiere entertainers… Speed. Speed is the original “High Energy Magician and Illusionist” known for his hyperactive, fast-paced, fun and modern performance style. 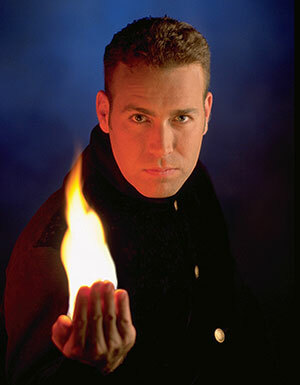 This amazing magician has performed over 4,200 live shows across the entire East Coast and Canada over the past 23 years including being featured in many Newspapers, TV, Internet and Radio Station Programs. 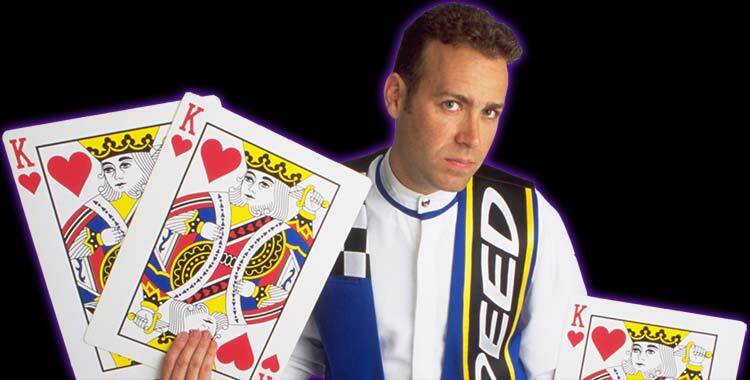 Speed experience and professionalism has gained him a strong reputation for being on time, fully prepared and always amazing his audiences with his fast wit, positive personality and amazing magic. Let Speed entertain your group with his amazing stand up magic and comedy show which has become a huge sensation in over 23 states and 3 countries. Speed is not your typical slow and artsy magician. Speed performs a fun, highly interactive magic experience where you and your audience will be on the edge of your seats for the entire performance. Speed customizes and tailors each shows magic and comedy to guarantee every shows success. Show durations range from 5-60 minutes. All magic and comedy are family/corporate friendly. 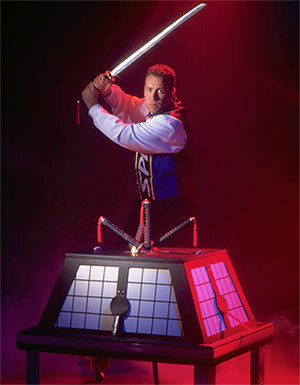 Take your event to the next level with Grand Stage Illusions! Speed performs over 20 large scale illusions. Whether he is making a motorcycle appear, crawling thru an industrial fan, or making your special guest appear, Speed will blow your audience away with some of the most amazing stage illusions. Did I mention Escapes? Speed and his assistant “Curl” perform a modernized version of Houdini’s Metamorphosis. And Doves too! Check out Speed and Curl performing a fast paced, exciting Dove Act which will surely knock your socks off! Let your guests enjoy the amazing strolling magic by one of the most interactive and skillful magicians on the East Coast. Speed has been performing his incredible strolling magic for over 23 years and is always a huge hit entertaining small and large groups. 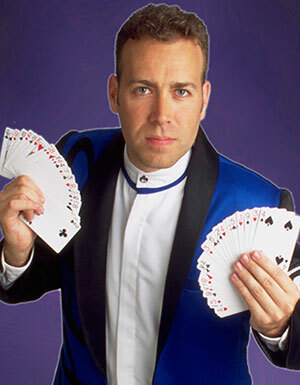 Speed’s talents at slight of hand and close up magic are something to be seen. Speed will not only dazzle your guests, but he is known to make other magicians take notice. Speed tailors his strolling magic and comedy to suit your audiences age and sophistication. The Most Fun and Interactive Comedy Magician on the East Coast! Speed is a full-time professional Magician and Grand Stage Illusionist whom can handle any audience. Whether its a small intimate gathering of friends and family or a huge arena filled with thousands, Speed will meet and exceed your expectations with his fast paced style, massive audience participation and exciting magic! 1) Reliabilty – We have not missed a show in over 20 years of performing our show. 2) On time- I believe in “hurry up, and wait”. I always plan to arrive very early for your event. 3) Professional – I take my show and how I handle myself and my crew very seriously. We will always have a positive and professional attitude. 4) 5 Star Ratings – All my online reviews are actual clients, not me writing reviews about myself. 5) Highest Repeat Customers in the Industry – Over 70% of our shows per year have booked us before. 6) Highest Professional Bookers- We are happy to be one of the most booked acts by professional agents and clients whom book over 10 shows year or more. We will be set up and ready to begin our show on time. We will provide everything needed to put on a great show for your audience (sound, lighting, backdrops, etc.). We will handle ourselves in a professional, positive and friendly manner. We will give your our best for every show regardless of the circumstances. Our goal is to help make your event the best it can be. I always give 100% for every performance. Our goal is to provide you with top quality magical entertainment to help make your event a 100% success. Background Check available upon request. I believe any and all entertainers for children and adults should be willing to provide a Background Check. Often your entertainer will be interacting with your children, clients and family members and on many occurrences in your home. You should insist on a full background check for any entertainment that you hire. If your entertainer does not volunteer this to you… You must ask why? … and we want you to be next. So, trust your next event to one of the top magicians on the East Coast. Let us add you to our list of more than 500 corporate clients, including over 35 Fortune 500 companies. What does that mean? It simply states… If the audience is not raving about the magic performance… It’s FREE. Period! That is how confident we are about our stage performances. GET A QUICK QUOTE OR BOOK NOW! The HIGH ENERGY MAGIC of SPEED is a full time professional magician and stage illusionist available for magic performances in all 50 states and abroad. Speed is known for his high energy and hyper personality and stellar magic for all ages. Based in the Maryland, Virginia and Washington DC Metropolitan Area.